The Treasury 2nd Opinion Poll & Giveaway! Back at the end of July we did our first opinion poll and reproduction artifact giveaway at The Treasury. We all had so much fun talking about the artifacts and what people would like to see happen that we decided to do it again. But this time it will be even bigger. So here are the rules. Take a look at the eight pictures and descriptions below. Choose two items: your first choice and your second choice for the items that you would like to see reproduced and available in the shop at The Treasury. The poll will remain open until October 31st. At that time I will count up all of the entries from the shop and from email, and your votes will have chosen two items. A winner will be drawn from each group of people who voted for the winning items. That winner will receive a reproduction of the original artifact for FREE. item # 1. 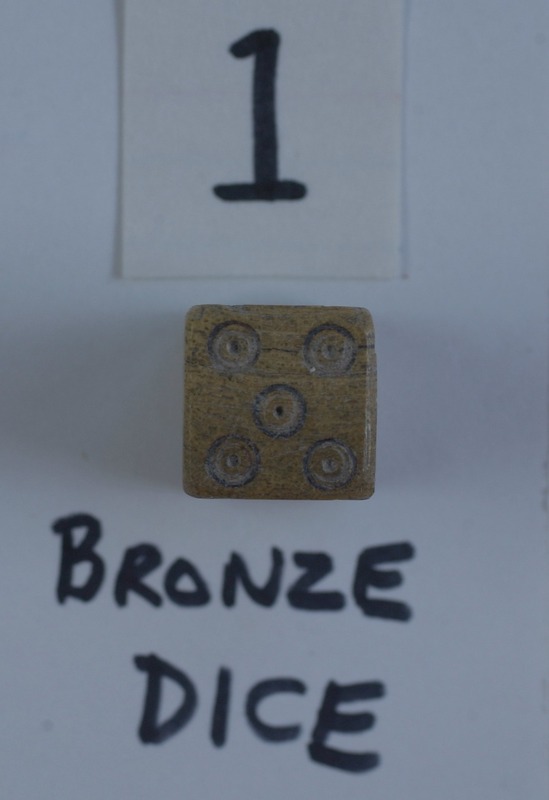 A Bronze Dice. About 14 mm on a side. item #2. 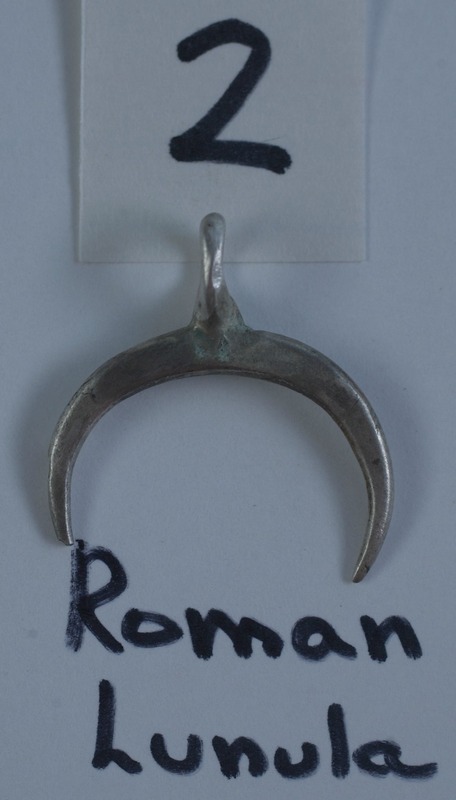 A Roman Lunula. About an inch wide by an inch tall. This artifact has been repaired, which is why it is a bit crooked. But I will fix that before I cast it. item #3. 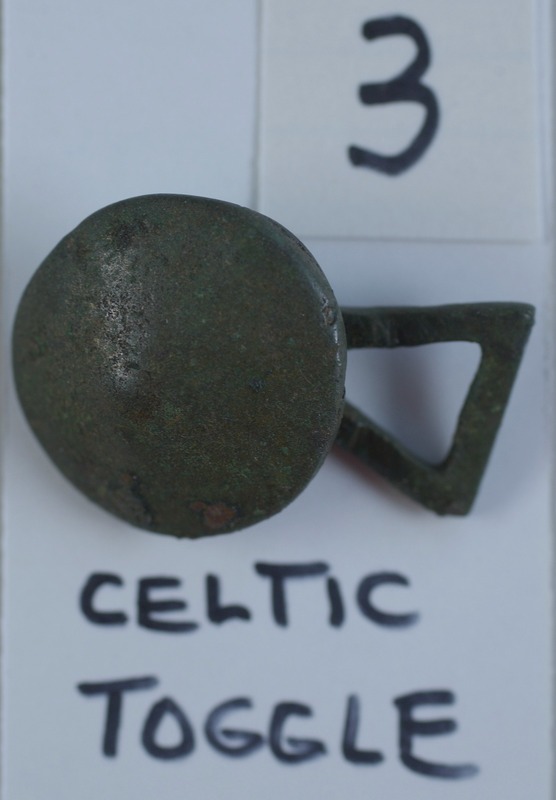 Celtic Toggle. About 1 1/2 inches long. The round part of the toggle is about 1 1/8 inches in diameter. The toggle is about 1/2 inch high. item #4. 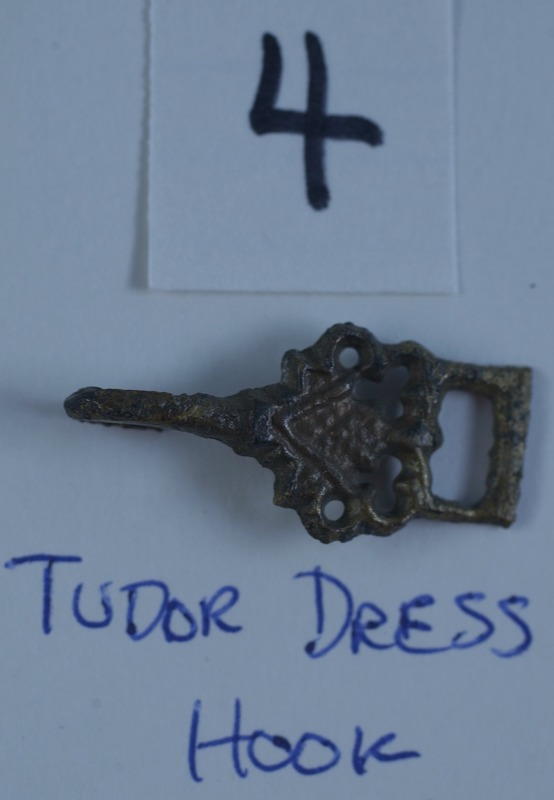 Tudor Dress Hook. About 1 1/4 inches wide and a little less than 5/8 inches tall. This is a sharp hook and is not meant to be used with an eye. item #5. 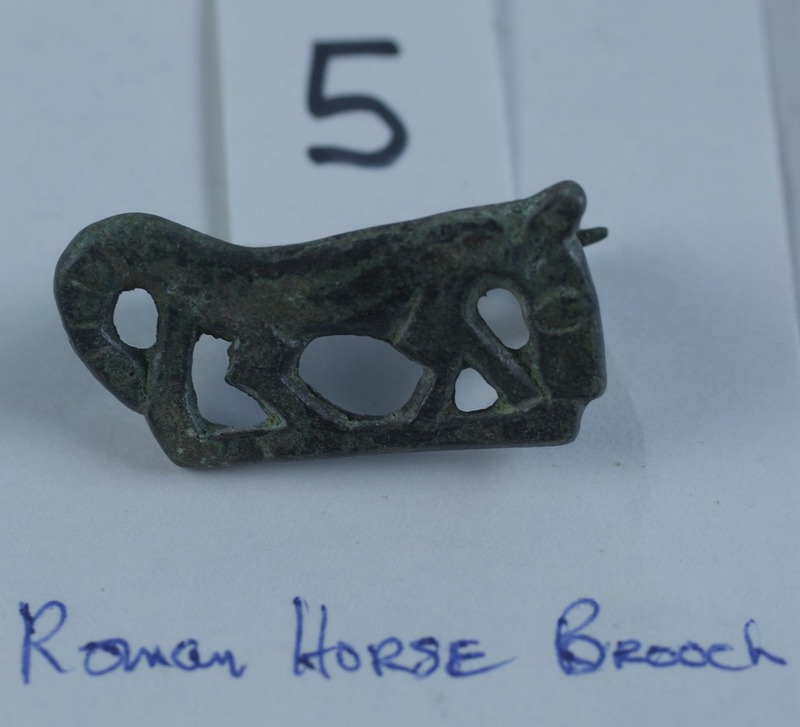 Roman Horse Brooch. About 1 1/2 inches wide and 1/2 inch tall , and 1/2 inch thick. item #6. 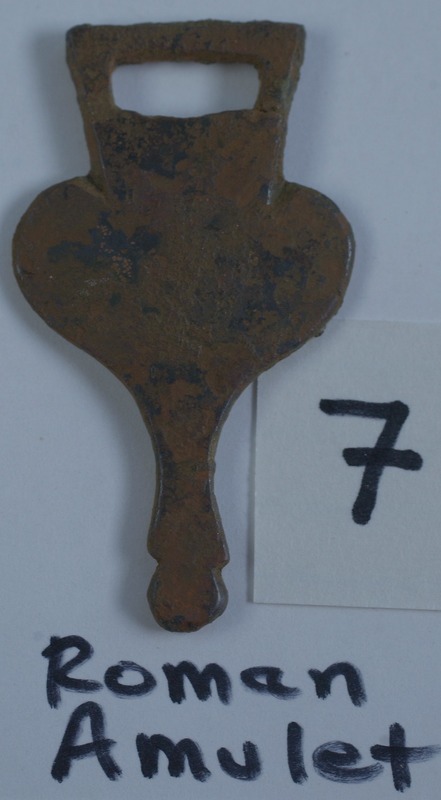 A Roman Amulet. About 1 5/8 inches long and 3/8 in diameter at its widest. The horn like projections at the top are actually a broken loop. I will repair the loop in the cast piece so that it can be hung the way it was intended to be. item #7. 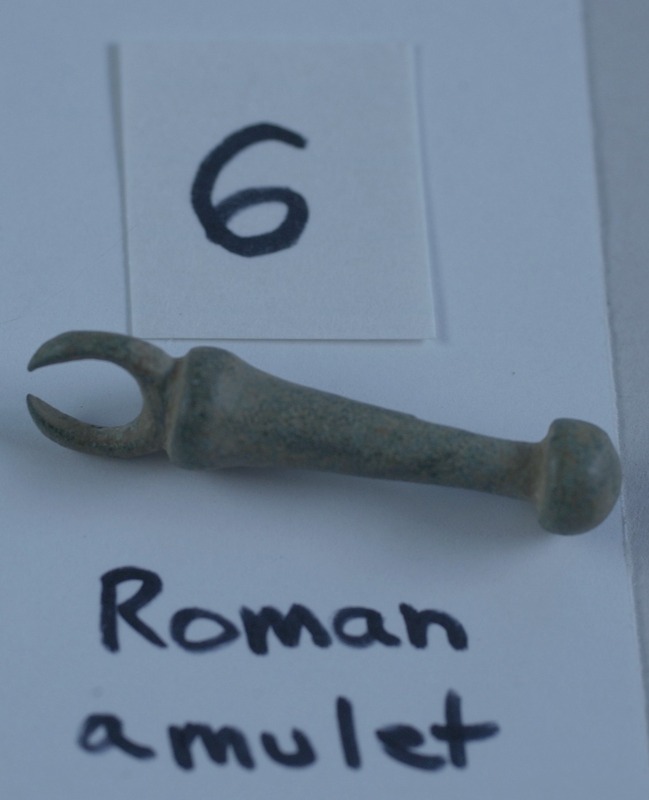 A Roman Amulet. About 2 1/8 inches long, 1 3/16 inches wide, and 1/16 inches thick. This would make an excellent strap end. item #8. An Enameled Tudor Button. About 5/8 inches in diameter. The light patches on the flower are actually white enamel. The shank on the back of the original button is broken, but I will repair that in the casting. Don’t forget to vote! Two of these items will be cast in bronze, in my shop in November, and two people will win a FREE reproduction artifact. This entry was posted in Dress Accessories, SCA Life and tagged Opinion poll by Eirny. Bookmark the permalink.